Chitosan biopolymers derived from the polysaccharide chitin, an abundant renewable resource, has applications as raw materials for medicine, agriculture, water treatment, cosmetics, paper and textile industries as well as many other fields. However, chitosan-based products were slow to enter the market due to poor reproducibility in production processes and product performances. By developing biotechnological ways of producing well-defined polysaccharides and nanotechnological tools for their formulation and functionalization, yielding products with known physico-chemical properties and reliable biological activities, Nano3Bio aims to offer a fresh approach towards realising the ecological and economical potential of these functional bio-polymers. In this way Nano3Bio’s ambition is to strengthen the knowledge-base through the development of advanced technologies for efficient biomass production tailored towards applications in industrial processes. PERSEUS’ role is to map and analyse the regulatory requirements that govern the different activities and products and to identify potential regulatory gaps or hurdles for products to enter the market. GRACE is an EU FP7 research project with two key research objectives: Assessing health, environmental and socio-economic impacts of GM plants (risks and benefits) and testing various types of animal feeding trials and alternative in vitro methods for health risk assessments of GM food and feed. The first topic is conducted in a systematic, transparent and inclusive way, adapting established procedures e.g., from evidence-based medicine (systematic reviews). The second aims to determine how suitable various types of animal feeding trials and alternative in vitro methods are and what useful scientific information they provide for health risk assessments of GM food and feed. GRACE has an explicit focus on stakeholder and user engagement which is reflected by a dedicated work package in which PERSEUS is participating. Stakeholders are involved in the planning stage of the research and in the interpretation of results and in drawing conclusions. 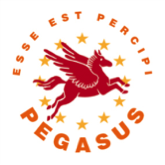 PEGASUS is a “supportive action” project in the EU FP7. The use of GM in farmed animals (aquatic, terrestrial, pharmaceutical) is reviewed. A foresight exercise is conducted to predict future developments. Three case studies (one aquatic, one terrestrial and one pharmaceutical) are applied to identify the advantages and disadvantages of GM animals from the perspectives of the production chain (economics, agri-food sector) and the life sciences (human and animal health, environmental impact, animal welfare, sustainable production). The specific objectives are to inventory the technical developments, to provide insight into the economic dimensions, to review the risks and benefits (human and animal health, environmental impact, and sustainable production), to identify consumer perceptions, to document ethical concerns via a stakeholder workshop, to identify policy gaps (national, (pan-) European, India and USA) and recommend the policy options, analyse public concerns and preferences for the strategic development and application via citizen jury events and to identify future European policy and research needs. Perseus focusses on the identification of environmental and health concerns, and is involved in the review of existing policy at national and international ((pan-)European, India and USA) level leading into the identification of policy options and gaps.